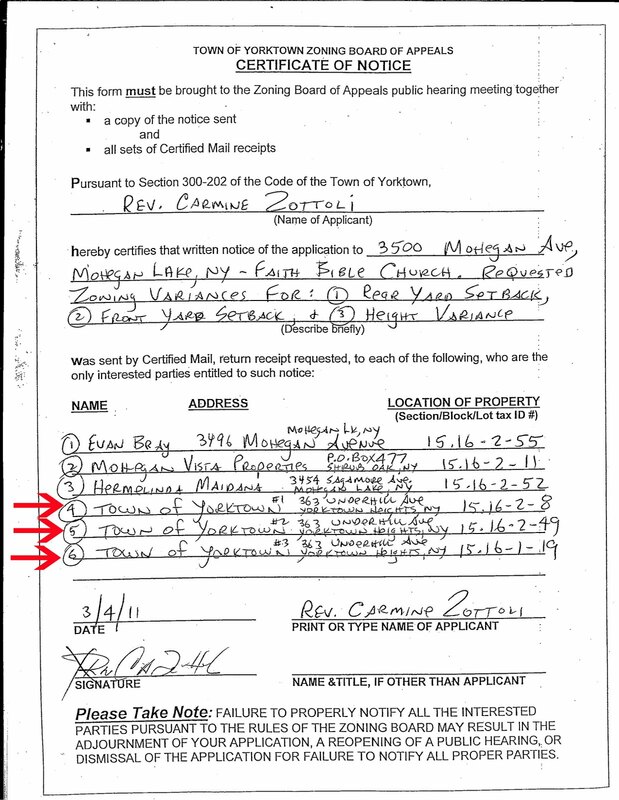 Above: aerial and black lines are from their architect's signed and sealed Zoning Board of Appeals application . I added the red(a lot shown on the zoning drawings and calculations, but omitted here) and blue(Lakeside Drive) lines to show what the architect has left of this sheet T-101 "Site Photographs Existing and Proposed." I'm sure that was an honest mistake; but it's a mistake nonetheless. There are no less than two households that were not notified of the proposed zoning variance application which is immediately adjacent to and affected by the site of Faith Bible Church's proposed new development. I am requesting that the proper notifications be sent out and the application re-opened for public comment. Click on this link and look at the last part of the form where it says "PLEASE TAKE NOTE."